NEW YORK — Beyonce and Jay-Z are getting recognized for achievements outside of music: The power couple will be honored at the GLAAD Media Awards for accelerating LGBTQ acceptance. GLAAD announced Monday that the Carters will receive its Vanguard Award at its 30th annual awards on March 28 in California. The award, previously given to Cher, Janet Jackson, Elizabeth Taylor and Antonio Banderas, honors "allies who have made a significant difference in promoting acceptance of LGBTQ people," GLAAD said. 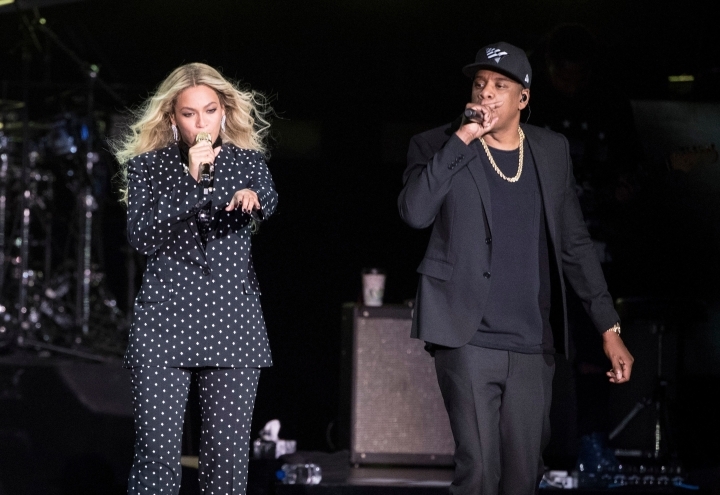 GLAAD says Jay-Z and Beyonce, who has a large gay fanbase, are being recognized for speaking out about marriage equality nationwide and for including members of the LBGTQ community in their artwork.